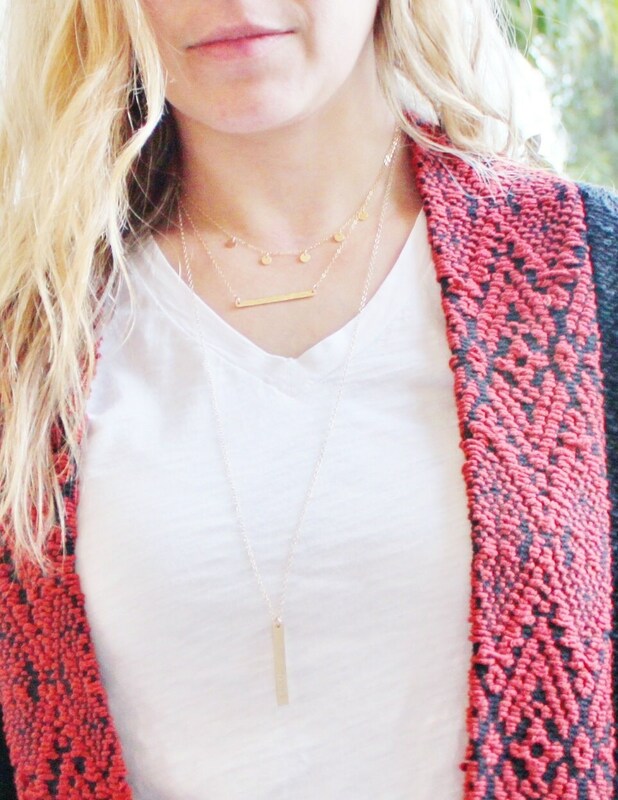 This gold coin fringe necklace is perfect alone of layered! 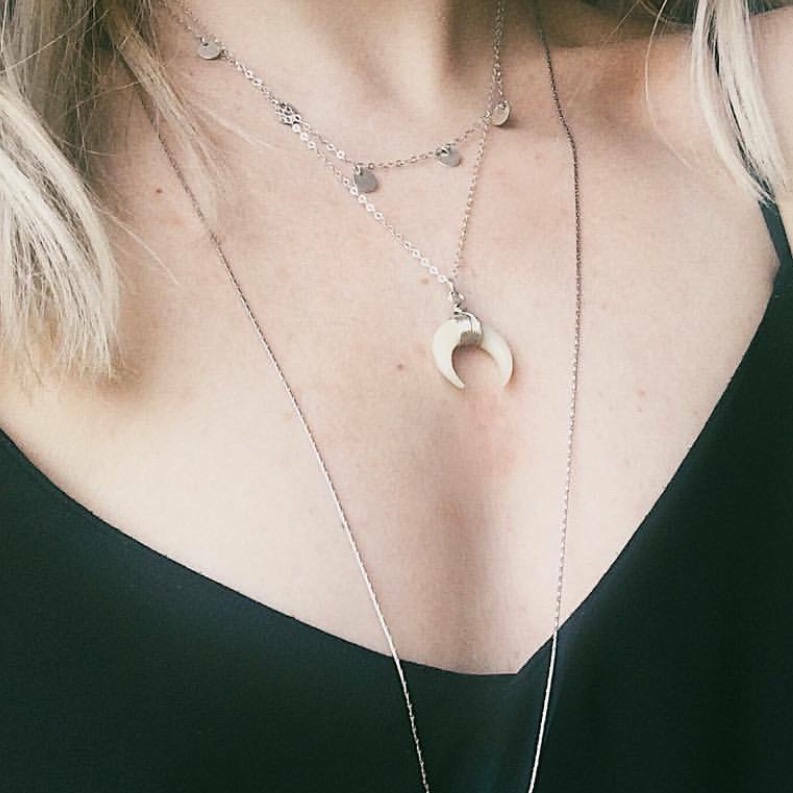 Perfect with your favorite tee or dress it up too! -Five tiny discs grace a delicate link chain. 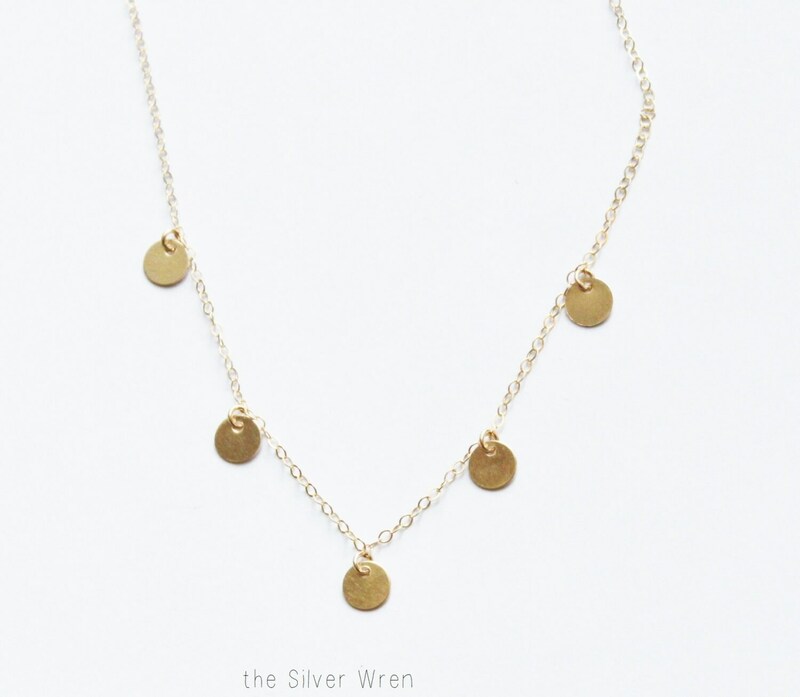 - Available in 14kt gold filled, Rose gold filled or sterling silver. -Listing is for the coin necklace only, please visit my shop for other great layering pieces. Another lovely piece for layering! Thanks! Lovely necklace. Great seller. Thanks! Necklace is nice, but shipping experience was disappointing. Seller printed up shipping label several days before the product was actually completed and shipped, leaving the buyer frustrated. Always love items for your shop! !